Roger Ebert, long-standing film critic first famous for the 23 year running “Siskel and Ebert” has died. Roger and Gene battled wits weekly and made famous the “Thumbs up/Thumbs down” rating system for movies. 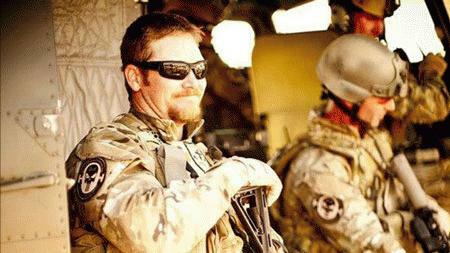 But Obama has yet to a utter a word (at least publicly) about hero and former SEAL sniper, Chris Kyle. Evidently the president thinks more highly of a man who spends his life watching and critiquing movies than a man of valor who has fought honorably for America and her Constitution. This makes sense when one considers the POTUS spends so much time palling around with Beyonce, Sarah Jessica Parker, and the ever-hip Hollywood Left. In the absence of word from the White House, the good patriots of this country will never forget Chris and his family. Christopher Scott “Chris” Kyle (April 8, 1974 – February 2, 2013) was a United States Navy SEAL and the most lethal sniper in American military history, with 160 confirmed kills (out of 255 claimed kills), he was shot and killed on February 2, 2013, in Texas. 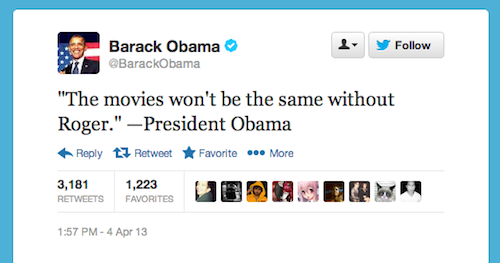 And as for Obama’s lack of remembrance of Chris Kyle, national treasure? Two thumbs down…WAY DOWN! READ MORE ON THE CHRIS KYLE MEMORIAL STATUE HERE AND DONATE TO THE CHRIS KYLE MEMORIAL TRUST HERE.